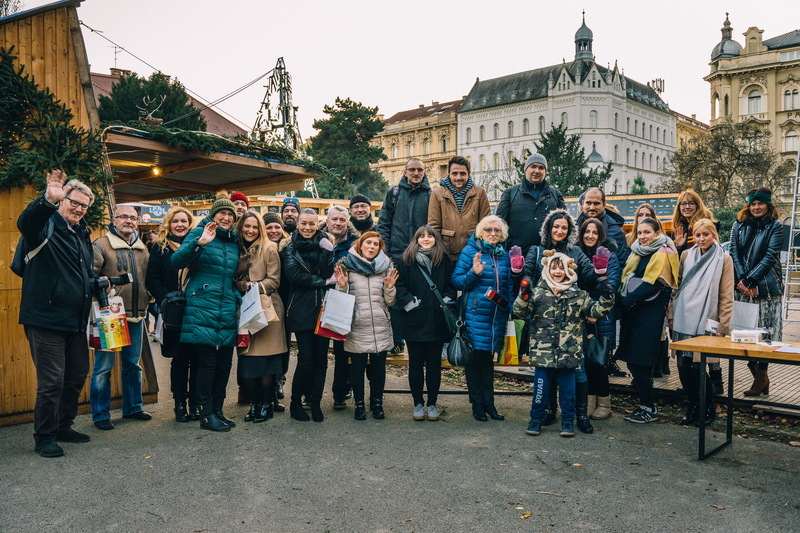 Fuliranje - the best last year's advent event by the choice of visitors to the website of the Tourist Board of the City of Zagreb - yesterday Strossmayer Square opened its own dagger and discovered two stages, a number of well-known but also new homes with the supply of liquid and solid but delicious delicacies and content for big and small. About the light virtual wrinkles which will be placed in front of your eyes after a few revolving isotonic drinks located a real small town with all the necessary amenities. Future Food Walkers like to eat and drink with the right music background, we first checked what is offered in that segment - as the picture speaks better than words, here's the gallery with some of this year's richer and more varied offerings. Za fine paper famous chefs: Marko Palfi, Ivan Zidar, Marin Medak, Vid Nikolić, Dino Galvagno, Mario Mihelj, who will offer traditional Istrian and Lika specialties, Dalmatian spices, Spanish spices, Scandinavian and Swiss dishes, Asian food, South American delicacies, Grill and original deserts - in short, dishes from all over the world and in all versions - meat, fish, vegetarian and vegan. Fuling will be featured at: Garden Bar & Kitchen, Rakian & Mason Burgers & Stuff, Ramen Bar, Pizza & BBQ Buffalo, Munchy, Veganshpek, St. Moritz, Mr.Bjorg, BarBaQ, El Toro, Chiquita Churrosita, Bread Club, Atelier Køkken, Trdelnik, Mime's Gourmet Bar, Kascheta & Meat the King, Jarun's Courts, Good Food, Fermaj Cargo, Time, T & T, Submarine, Sljeme, RougeMarin , Ledo Pommes Frites, Nonina Secret, Lumperaj, Milky, Wurst Bar and Bakina. Some of the surprises lie behind imaginative names like Goruca Rum Baba, Duck Strawberries, Frap, Sweet Microphones and Grah tortillas. Novelty is the Frühstück music gastronomic concept that begins to play 1.12 and will present a combination of sweet breakfasts and cool music every day from 10 to 18 h. Food is also indispensable current problems which was taken care of by The Garden Brewery, premiered by winter beer Rosemary Julebryg, especially devoted to Fuling. For warming you will be able to choose between hot peels, warm gin and excellent wines from the Slovenian winery Jeruzalem Ormož, the winter varieties of cocktails of cult beach bars Papaya and Lola Bar, G3 Spirits, and with the well-known bars GingleBells, Mango and Rakajarnica. For warm and warm feet is responsible for The Adriatic Coasting Nick Colgana and Pepi Hubzin, which brings well known foreign and domestic DJs such as Danny Krivit, Todd Terry, Grammy Winner, who introduces us to New 2019, Andy Daniell, Justin Robertson, Big Danny Kane, Dean Sunshine Smith and Bobby Beige. There are also Croatian DJs: PEZNT, BlackSoul and others, the female forces of Rea, Babylon, Ines and Remi of Elemental preparing a special program for the Christmas Eve, in Free New Year's Eve will spice one of the world's most famous electronic music - Defected. World sensation, Queen Real Tribute Band, comes to us with 8.12 and for the first time appearing in Zagreb outdoors. Classical lovers will enjoy the performances of students of the Zagreb Academy of Music on Mondays from 12 to 16 hours. The second stage Schmeck by BSH events, prepares stand up program, quizzes and disco evenings. 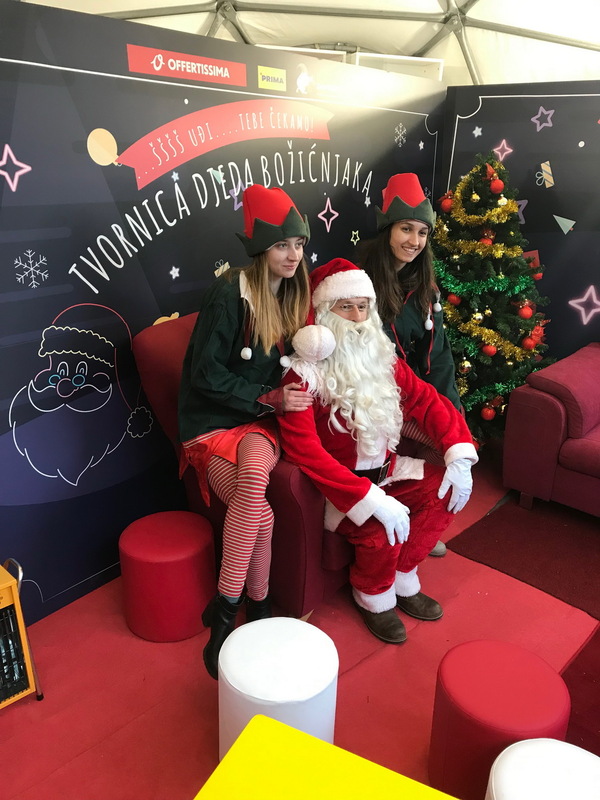 For kids and kids is ready Santa Claus Factory with imaginative workshops and performances, and on Sundays they will be able to sing with children choirs. A musical treat for youngsters is the show of the International Children's Festival finalist Magic Flute featuring 2.12 from 10.30 to 12 h, ahead of the final competition in Lisinskom. I quadruple hair follicles they can play at Capa Pet Bistro, where they can drink puppy's and goat's popcorn. Previous ReleaseWhite cluster - awarded GET Awards for 2018.